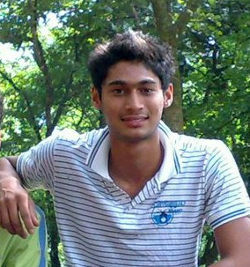 21 year-old Ronit More from Belgaum who is a right-arm medium-pacer from Karnataka has been signed up by Chennai Super Kings IPL team for its current season. The Belgaum-born bowler announced his arrival in domestic cricket by picking up six wickets in his very first match for Karnataka. It was the best limited-overs debut in Indian domestic cricket. Tall, lanky, skiddy and deceptive, More has even played for the Australian Institute of Sport and the Madras Rubber Factory (MRF). 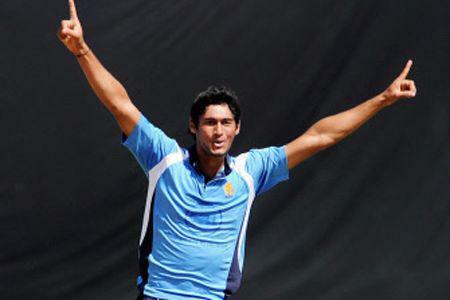 During last season’s Vijay Hazare one-day tournament, he picked up 15 wickets in seven matches. As a result, he was roped in by the Royal Challengers Bangalore for IPL 2012.
kya bhai apne belgavi ka naam roshan kar dale tum bahut acche bhai anewale dinome mai tumareko indian team me dekna chahta hu bhai………all the best……..
Congrats….. I was on the commentary when he played the first edition of the Belgaum Champions League at the C’P.Ed ground. I have seen him in action and he plays well. All the best for the future. It feels nice to see a Belgaum cricketer making it to the IPL. And further try and make it to the Indian team. Congrats Ronit ! All d best. I think there is some relation between Chennai & Belgaum for sportsmen !